Gaza : In order to improve the relationship between the academic sector and the private sector, in order to qualify graduates and employees to suit the needs of the changing labor market, a project steering committee meeting was held to improve the quality of students and graduates of the management and automation program to equip them with digital technological skills. the work. 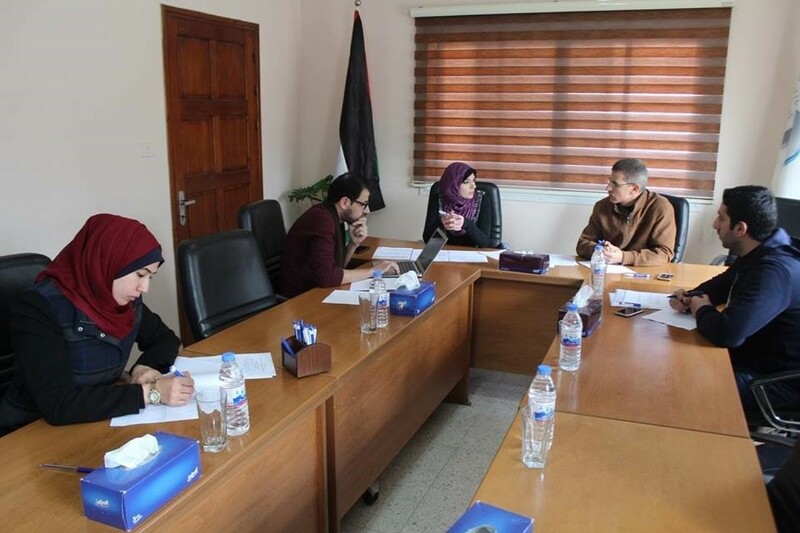 The project is being implemented in partnership between the Gaza Community College of Applied Studies and Al-Aqsa University with the Palestinian Information Systems Association (PITA) and funded by the World Bank. The meeting discussed the plan of action of the consultant to develop the market survey and the participation of information on the projects of developing the relationship between the Palestinian universities and the private sector in which the Union works, in order to enhance the exchange of knowledge and practices in addition to optimizing the use of the outputs.